Narrative: Miriam Eleanor Penney was born in 1922 in Mahone Bay, N.S., the daughter of Frederick and Dorothy (Sarty) Penney. The family then moved to Pleasantville in 1926. Miriam excelled at athletics and her many achievements in softball, hockey, track and field, curling and golf earned her recognition as a member of the Nova Scotia Sports Hall of Fame in 1993. After graduating from Bridgewater High School, Miriam was one of the first Canadian women bankers working in the Royal Bank, Bridgewater. Later she joined her father in Penney's Insurance Agency, incorporating the business after his death and continued to operate the business as President until she retired. 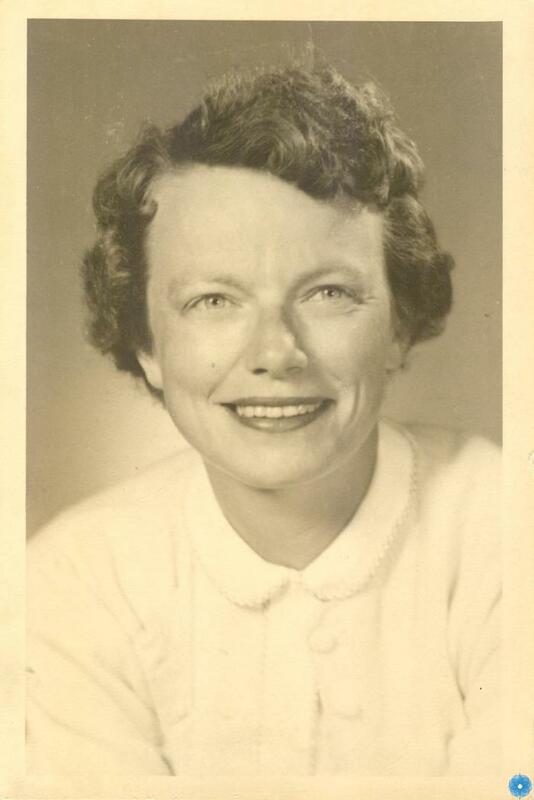 Miriam was also active in her community throughout her life as a Girl Guide leader, President of the Bridgewater Curling Club Women's Division, and the Bridgewater Golf and Country Club. Miriam was a founding member of the Osprey Ridge Golf Club and Warden of Holy Trinity Church in Bridgewater. Miriam Penney died 7 December 2006 in Bridgewater, N.S. Description: Rectangular black and white photograph of a young woman. Head and shoulders portrait identified as Miriam Penney, Bridgewater. Woman has short curly hair and is wearing a blouse with a peter pan collar.